Do you have Neck Pain when Doing Crunches? Many people suffer from neck pain when they are doing crunches or other abs exercises. I don't want neck pain to stop you from working your abs. One less excuse should yield a little more exercising. This page talks about some potential reasons people have neck pain during their ab workouts, but remember if you have had a major injury or suffer from significant pain consult a health professional before beginning a workout routine. Okay, the first potential reason that people suffer from neck pain during abs exercises is poor form. When sit ups fell out of favor, crunches became the primary abs exercise in fitness routines, but most people dont know how to do crunches correctly. When performing crunches, your spine should curl forward and your shoulder blades should lift off the floor. This is a simple mistake that people make in form. Because many people are afraid of doing sit ups, they use a less than ideal range of motion for crunches. When you use only a small range of motion from your middle and lower spine, you shift the emphasis to your neck and upper spine. So what happens for many people is that the only area that moves when they perform crunches is their neck, which can lead to faster fatigue in the neck and potentially cause some neck pain. In addition to having poor form and not using all the range of motion for crunches, some people pull on their neck in order to get more range of motion. When you perform crunches, your hands should only be used for light support, and your neck should stay close to the neutral position. The 2 main mistakes in form that may cause neck pain during crunches are using a limited range of motion and pulling excessively on the neck. Interestingly, sit ups actually put less pressure on the neck than crunches. Lets talk a little about why. When you look at the position of your body in relation to gravity, there is more tension on your neck during the first part of a sit up because gravity is pulling down on your neck, and the muscles in the front of the neck will contract to stabilize your head. However, when you move past the initial part of a sit up, gravity will pull less on the muscles in the front of your neck. So during sit ups, you neck muscles get a little rest when you are in the full sit up position. If you compare sit ups to crunches, youll notice that since you never go all the way up during crunches, your neck muscles never really get a chance to rest during the exercise. Your neck muscles are supposed to work during crunches, but sometimes the neck muscles will get fatigued before the abdominal muscles. If you have pain in your neck during crunches here are a few workout tips. First, just keep practicing. If you are completely new to working out youll get stronger. You neck muscles should be strong just like your ab muscles, so if you're just getting started give yourself a few workouts to get in the groove. Second, stretch your neck muscles before or after your ab workouts. If you sit at a desk for work chances are your neck muscles are stiff and inflexible. Stiff neck muscles will put more pressure on the neck during crunches and other abs exercises. Here are some simple neck stretches you can do during your ab workouts or even when you're sitting at your desk. Third, work your abdominal muscles in different positions. You dont have to spend your entire ab workout lying on your back. 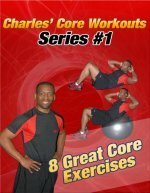 You can do seated, standing, side-lying, or face down abs exercises. You can do standing side bends with dumbbells, medicine ball Russian twists, or planks. Visit the Picture Directory of Abs Exercises to learn all the abdominal exercises on this site. If youve had problems with your neck during your ab workouts try the above tips. However, if you are having persistent neck pain that is beyond fatigue and slight discomfort, you should consult with a healthcare professional. Burning, stabbing, shooting pain, or numbness and tingling are signs you should see a licensed health professional. Dont let neck pain stop you from working your abs.